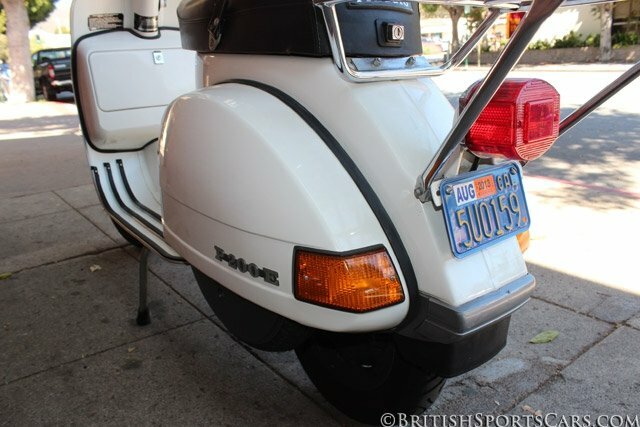 You are looking at a 1981 Vespa P200E that is all original and in like-new condition. You would think this bike has just been fully restored, but it has not. 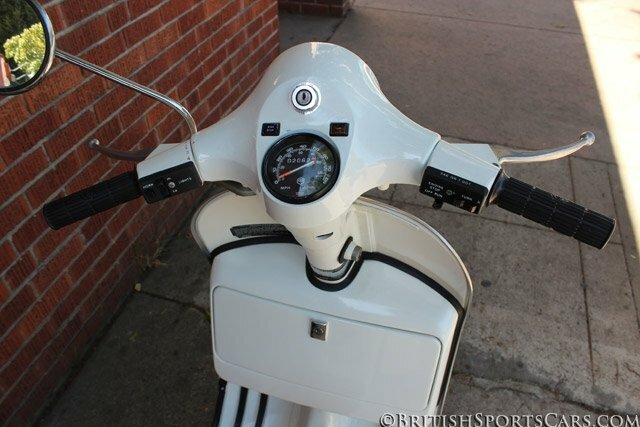 The scooter is fully serviced and ready to go, complete with new tires. 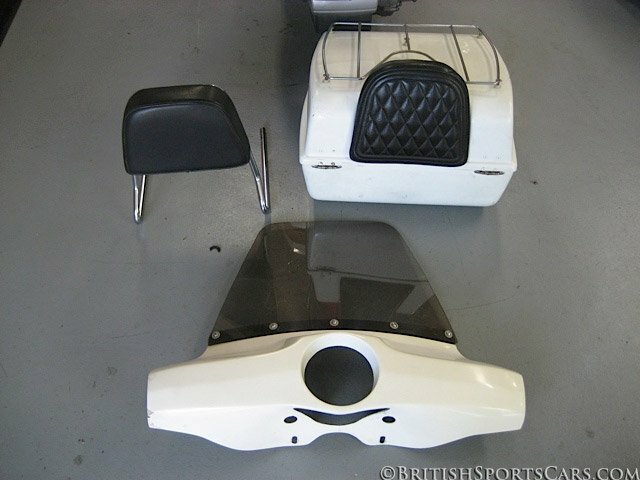 The scooter also includes the optional luggage box, windshield, and backrest. 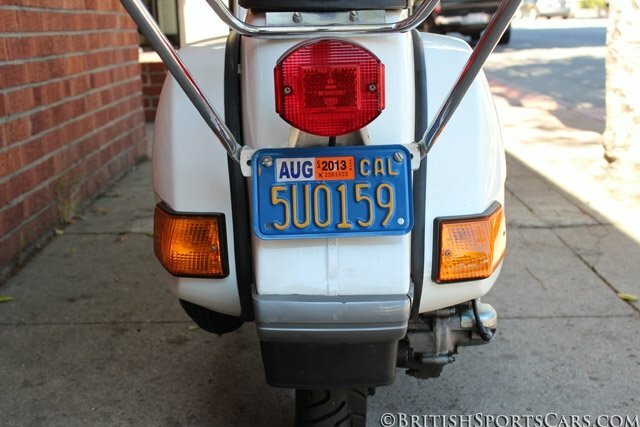 If you're looking for a nice Vespa, this is it. Please feel free to contact us with any questions.